Want to serve athletes by creating the future of sport? Apply by Tuesday, March 18th to be considered to join other students from UO and OSU to visit the Nike World Headquarters! Join Nike for a day of networking with our leaders, learning about our internship and full-time opportunities, and competing in an innovation pitch. Students will have the opportunity to learn about our Nike Tech internship program and full-time opportunities, and compete in an innovation pitch where winning ideas will win a prize! This is a full-day event with plenty of activities planned. While you are here, check out their world class campus and receive exclusive access to the Nike Company Store. 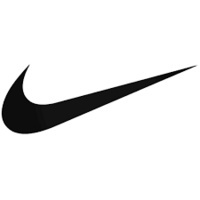 Nike is looking for smart, analytical and passionate individuals working towards a computer science/engineering or related degree who have an appetite for solving deep technical problems with the most powerful brand in sports. During this on-site visit, they’ll be considering interns for their available positions this summer. It’ll be an opportunity to network and showcase your skills and knowledge with the current Nike team. *Transportation to #NTCX provided to UO & OSU students selected to attend.